I wanted to thank everyone who entered Character Contest 9. You submitted a total of 75 illustrations on the "Elemental" theme, and the quality as always was very high. So if you screwed up your courage to submit an entry, take a second to pat yourself on the back because I really appreciate it! 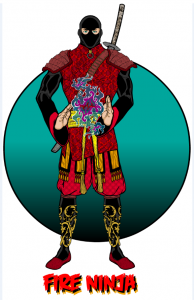 And now, on to the handful of illustrations I selected for a general overview as Honorable Mentions, and then your overall winner. 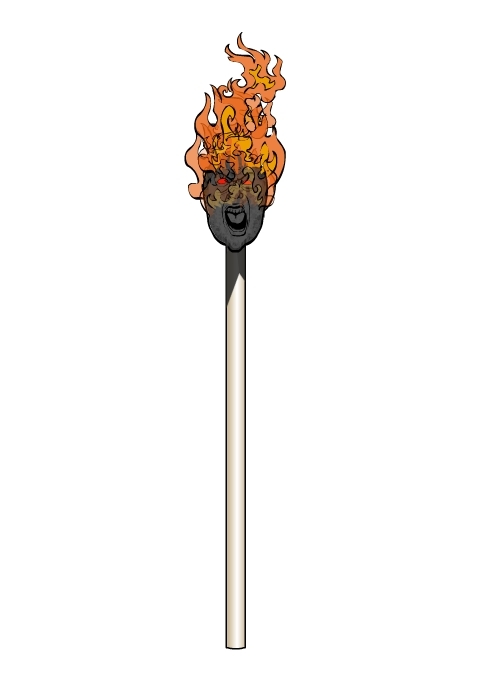 NGpm went up the elemental lord food chain with his "King of Fire", which I included because a) it's a nice character design and b) the use of the two similarly-colored companions helped bring the whole thing to life. 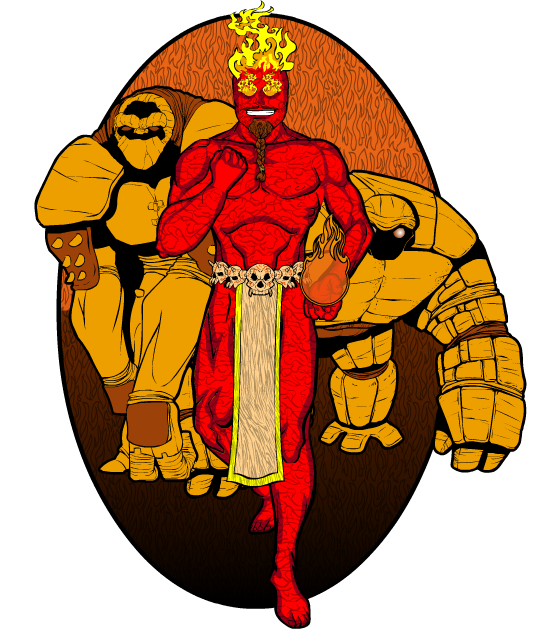 With a little color he was able to take two Earth-elementals and turn them into magma beasts. Which is cool. 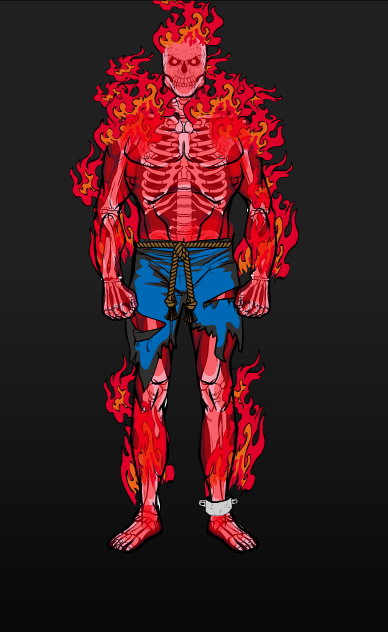 Your obligatory Imp drawing is a "Fire Ninja". 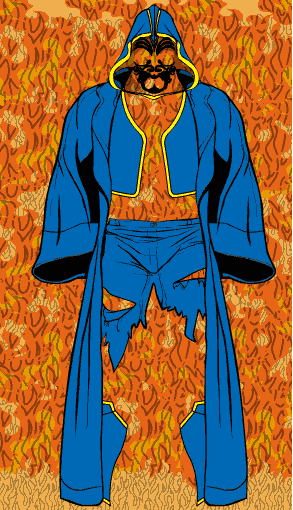 I don't know how stealthy a flaming ninja would be, but he looks so nifty I don't really care -- I mean, look at that patterning! As always, a very strong composition and execution from Imp. That drawing is just chock-full of goodness, from the excellent coloring choices for the body to the multiple weapons spinning and grayed out to look like one in motion, to the cool tendrils flying off of him. A really nice concept well-executed. I liked the positioning of the body and her use of the "Tail" to act as a skirt. Also note that when the rest of the limbs in question are hidden, you're freed up to position the feet how you like, as she did here to nice effect. 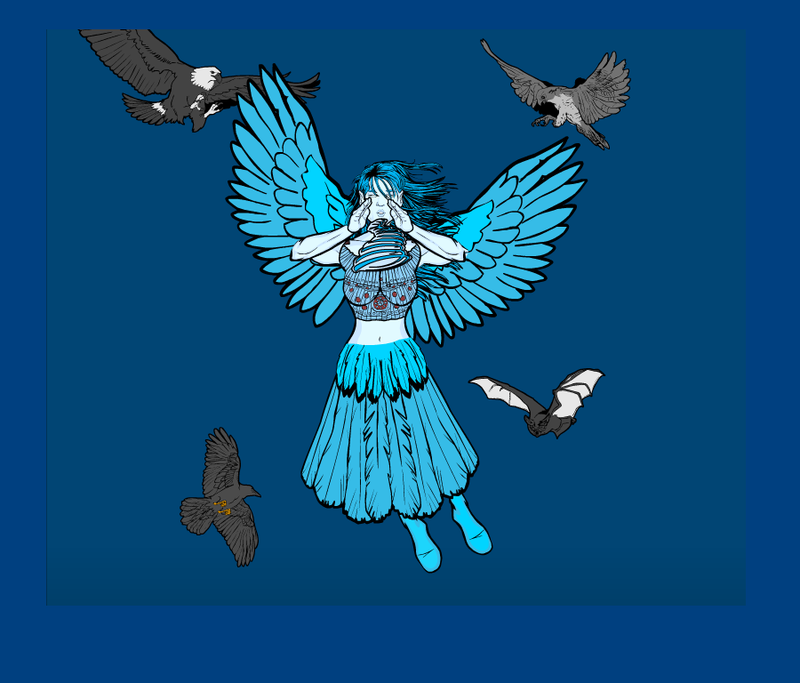 By repositioning the wings and surrounding her with birds and a blue background, she also "sells" the idea that the character is flying. A very nice composition. 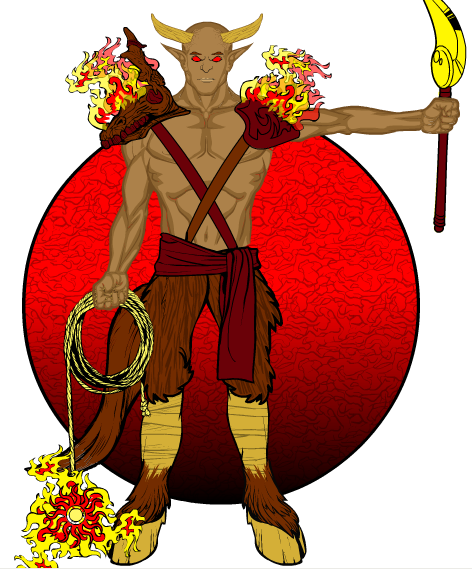 Ultimately, of course, I have to pick one overall winner, and this week I am happy to announce that person to be ... Andre and his "Fire Satyr"! 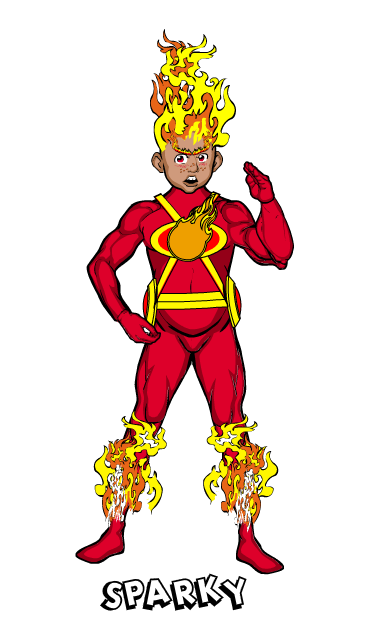 I love love love his flaming rope weapon, the flaming bull's-head shoulder pads, and satyr-feet. The whole character is very well put together and just works, top to bottom. Andre will get to choose either a caricature of his head or one item to be included in the final HeroMachine 3 product. Congratulations to all of our finalists, and to everyone else who took the time to enter. I hope you enjoyed putting your creations together as much as I enjoyed seeing them! 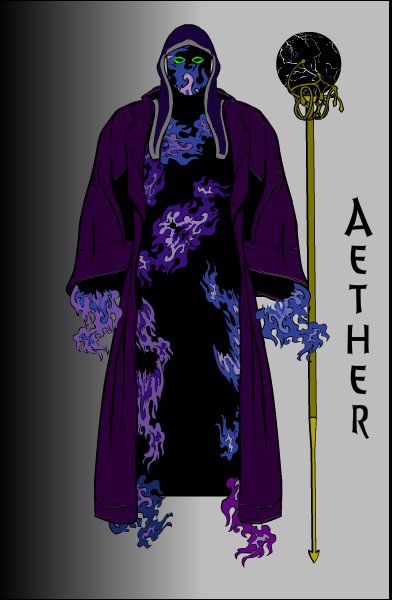 I wanted to enter in the character contest, but i don’t really know how to. Could someone explain it to me? David, use the “Save as JPG” or “Save as PNG” button in HeroMachine 3 to save your character as an image file. Then upload that file to a web site — ImageShack.com, PhotoBucket.com, PicasaWeb.com, any of those free ones is fine — and then post a link to that image in the comments to the contest page. That’s pretty much it! Im suprised which of my 2 entries got the mention, I guess having its own theme song payed off. 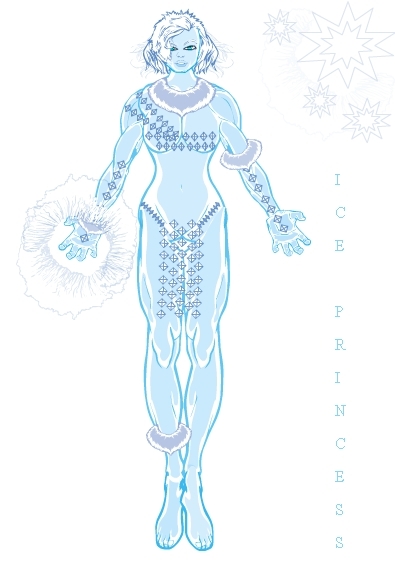 I like the Ice Queen the most, even if she does have manish legs, especially the power effect around the hand. I was thinking that a Self-Portrait contest would be intriguing. And I *knew* Sparky was going to be a finalist. It convinced me that you really can do child figures with HeroMachine 3. Hey, congrats Andre! I really like the way the head/face turned out on that Satyr. Mr. Vampire, I would like to say that your Ice Queen will always be a winner in the place where my heart is supposed to be. She’s awesome! Congrats to Andre and his fire satyr! Actually I didn’t make the Ice Princess, Haydn did. I just realy liked it. That was far too tasefull to be one of my entries, my other one was the Excremental (poo elemental). Those are all pretty cool but I think I like Crinold’s the best. for the prize, id like some sort of snake headdress/armor..something like these, but im sure u will come up with something great/better.